But first, the New York State Legislature would need to vote on the program, and its prospects are uncertain. 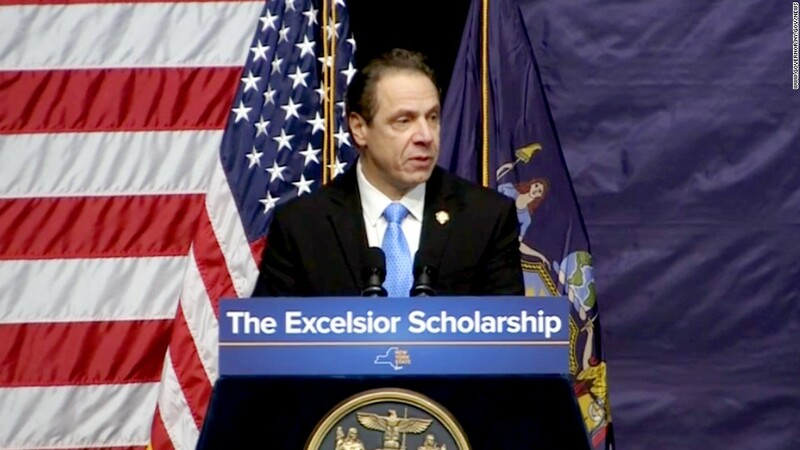 "Governor Cuomo isn't providing 'free' tuition, he's simply telling New York taxpayers to write a bigger check," said New York State Assembly Republican Leader Brian Kolb, in a statement emailed to CNN. "At the end of the day someone has to pay the bill, and once again his political ambitions will be subsidized by the highest-taxed people in America." Are you a college-bound New York resident? Share what you think of Cuomo's plan with CNNMoney by emailing Katie.Lobosco@cnn.com.